Quota bill in the Rajya Sabha: The 124th Constitution Amendment Bill, 2019 to award 10 per cent reservation to economically weaker sections was passed with majority in Rajya Sabha on Wednesday. After 10-hour long debate, most of the members in the Upper House of the Parliament agreed to go ahead with the bill despite opposition from some parties. The Congress party supported the bill in Rajya Sabha today, but raised question over its timing and implementation. Congress Rajya Sabha member Anand Sharma says the bill is being introduced considering the Lok Sabha elections, which are scheduled to be held in May. "We understand what is happening, we are not kids," says the Congress leader Anand Sharma. "There are three hurdles that this will have to surpass - the first hurdle is that according to me there is complete non-aplicability of mind on the part of the government in bringing this bill. The second hurdle is the constitutionality of this bill. And the third hurdle is the implementation of this bill," COngress MP Kapil Sibbal said. Meanwhile, the Bharatiya Janata Party tried to convince the Rajya Sabha that the reservation to general category will not encroach on the reservation already provided to SC/ST and OBC categories. 10:08 pm: The 124th Constitution Amendment Bill has been passed in the Rajya Sabha. 165 members voted in favour, whereas only 7 voted against the motion. 10:06 pm: The voice votes are in favour of passing the Consititution Amendment Bill to award 10 per cent reservation for the economically weaker sections from the general category. Members now vote through Automatic Vote Regarding System. 10:05 pm: The MPs have voted against referring the 124th Constitution Amendment Bill to a select committee of Rajya Sabha for further scrutiny. 154 MPs voted against the motion, whereas only 18 voted in favour. 09:56 pm: The Rajya Sabha turned down the motion to refer the 124th Constitution Amendment Bill to a select committee for further scrutiny by voice vote. MP Kanimozhi, who had moved the motion, called for division. MPs will not vote through Automatic Vote Regarding System. 09:53 pm: There has been backlog in recruitments with every government. This government has tried to clear this backlog in its time with special recruitment drive, Gehlot added. 09:49 pm: If the clauses are added to the Constitution after this bill, I believe that even the Supreme Court will favour this decision as Constitutional provisions, Gehlot said. 09:48 pm: The 59.5 per cent reservation given to SC/ST and OBC categories will not be mixed with the 10 per cent reservation proposed for general category, Gehlot said. 09:42 pm: "PM Modi has introduced this bill to benefit the economically weaker sections who have been left out of the welfare schemes. The Congress had promised in their manifesto that they will introduce reservation for general category. I would like to ask them whay would they have done differently in this regard," Thaawar Chand Gehlot, Minister of Social Justice and Empowerment. "Apart from a few political parties, all political parties have supported this bill. I thank them for it," Gehlot said. 08:13 pm: "Based on an interim order from the Supreme Court, reservation in promotion is in effect. If a later judgement by the Supreme Court overturns this decision, we will bring an ordinance to bring back reservation in promotion," LJP MP and Union Minister Ram Vilas Paswan said in response to question raised by Congress MP Kumari Selja. 08:10 pm: Kumari Selja questioned how will the members of economically weaker sections appointed under the 10 per cent reservation criteria be promoted. "This is the part of a nefarious agenda to take out reservation," she added. 08:06 pm: "Have you cleared the backlog for reservation? What about the vacancies in the Centre? How will the Quota bill be implemented in this regard?," Kumari Selja asked. 08:03 pm: "You brought this bill to the Parliament without prior consultation knowing that we will support it as it was in our manifesto. But you are not respectful to the Parliament," said Congress MP Kumari Selja. 07:54 pm: NCP MP Praful Patel asked clarification as to what impact will the 10 per cent reservation for the economically weaker section from the general category have on the 16 per cent reservation given to Marathas in Maharashtra. He also questioned the legibility of paramaters laid down for giving reservation to economically weaker sections from the general category. 07:42 pm: If this amendment is only an enabling clause for state governments then will the legislations be formed to enable 10 per cent reservation for the economically weaker sections from the general category, asked BSP MP Satish Chandra Misra. 07:16 pm: If the constitutional amendments under the Quota bill are approved, the earlier restrictions on cap of reservation will not be applicable, Paswan said. 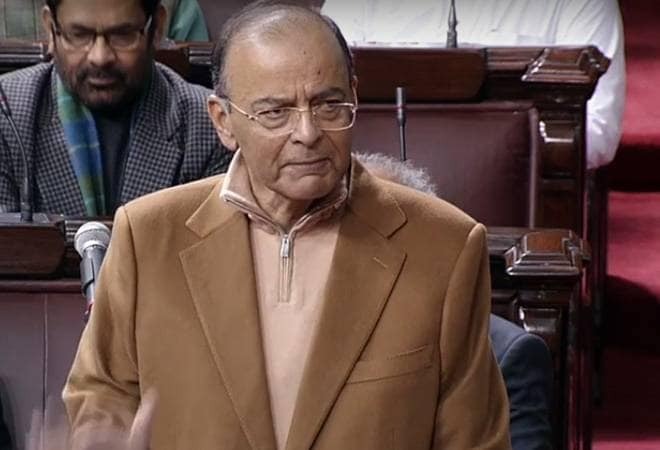 07:12 pm: "While the Constitution amendment bill was supported across the board in Lok Sabha, it is being strongly opposed by certain members of Rajya Sabha. I appeal to all members that they support the bill," LJP MP Ram Vilas Paswan. 06:56 pm: What is the constitutional definition of economically weaker sections, asked AITC MP Sukhendu Sekhar Roy. Since the bill says that the deifinition of economically weaker sections will decided based on the parameters decided by state governments, can it be changed to Rs 20 lakh per annum from Rs 8 lakh per annum, he added while seeking clarification. 06:26 pm: In a country of 1.3 billion people, the Quota bill is going to benefit only around 4,500 people, Congress MP Kapil Sibbal said. This discussion is not about this bill, but it is about jobs, which cannot be created without economic development, he added. 06:21 pm: Although I support the bill, I am saddened by the way it has been tableed before the House, Congress MP Kapil Sibbal said. "There are three hurdles that this will have to surpass - the first hurdle is that according to me there is complete non-aplicability of mind on the part of the government in bringing this bill. The second hurdle is the constitutionality of this bill. And the third hurdle is the implementation of this bill," Sibbal said. 06:16 pm: The Quota bill will be applicable to jobs in both union and state governments, BJP MP Ravi Shankar Prasad said. 06:13 pm: The Quota bill will be an enabling clause in the Constitution which will allow state governments to make legislations which will give reservation to economically weaker sections, Ravi Shankar Prasad said. 06:05 pm: We are adding certain clauses in the Consitution which will give educational opportunities and employment opportunities to the economically weaker sections, BJP MP Ravi Shankar Prasad said. The reservation given to SC/ST will not be touched, he said. 06:05 pm: Members propose that the House will remain in session till a decision is reached on the Constitution amendment bill. 06:03 pm: The Constitution does not limit the Parliament from amending the provisions of the Constitution, given that the basic structure of the Constitution is not tampered with, stated BJP MP and Law Minister Ravi Shankar Prasad. 05:55 pm: What is the hurry to bring a Constitution amendment bill now apart from the fact that there are elections in a 100 days, said DMK MP Kanimozhi. 05:40 pm: Is there a machinery in place to ensure that only deserving beneficiaries are covered under the 10 per cent reservation for general poor as they might see a change in their economic status later on, asked Shiv Sena MP Anil Desai. Will this Bill stand legal scrutiny, he further asked. Desai also sought clarification on whether the Quota bill have any impact on the 16 per cent reservation given to Marathas by the Maharashtra government. 05:28 pm: RJD MP Manoj Kumar Jha called for the Constiution amendment bill to include the private sector. He said that a deeper consideration of the bill would have led to its termination on the grounds of constitutional untenability and legal untenability. Our party openly opposes the Quota bill, Jha said. 05:09 pm: This bill is an election ploy by the government and an attempt to cover up its failure in creating jobs, CPI(M) MP Elamaram Karim said. Modernisation and AI are eating into jobs, then how will this reservation bill benefit the poor, he added. 05:05 pm: Either make reservation uniform across the nation or give the prerogative to state governments so that they can formulate reservation policies by taking into consideration the demographics of their respective states, said Prakash Banda of TRS. 04:42 pm: Although this Quota Bill will not remedy the problem of unemployment entirely, it will be first time in India that reservation will become universal instead of sectional, said Ram Chandra Prasad Singh, JD(U) said during the debate over the Constitution Amendment Bill in Rajya Sabha. He also called for removing any limits on attempts for taking the UPSC examinations so that meritorious aspirants who will not be covered under reservation even after the Quota bill can be benefitted. 04:32 pm: "There might be issues with the Quota Bill which needs to be rectified, but our party supports this bill. We want this Bill to be passed today. We don't doubt the policy behind this Bill, but the ruling party's intention behind it," Prasanna Acharya of Biju Janata Dal said in the Rajya Sabha. 4.21pm: Derek O'Brien of TMC: On July 21, 2013, Mr Modi was asked what is the long-lasting solution on job reservation? His answer was: "Who should ask for reservation? We have to move from an era of scarcity to an era of plenty, like we have done in Gujarat." Now tell me what prompted the government to bring this bill now, asks O'Brien. 4.13pm: Derek O'Brien of TMC: Four out of five laws have been passed here without scrutiny under this government. Total 14 new bills have been introduced in this session. How many sent for scrutiny? Only 1. Now will this bill pass constitutional scrutiny? Do you have any numbers to prove this? This bill is actually acknowledgement of guilt. Where are the jobs? You promised 2 crore jobs. Now you are asking people to do 'pakora' jobs. 4.00pm: AIADMK opposes the bill. "The state of Tamil Nadu will suffer the most due to this bill. The Supreme Court has already said that no government can bring a change in the basic structure of the Constitution. Now the bill will be challenged in the Supreme Court on these same logics, and the apex court will then reject it," said AIADMK member A. Navaneethakrishnan. 3.28pm: The government should also provide reservation in the private sector, says Ram Gopal Yadav. "Now when you have broken the 50 per cent reservation barrier, I request the government to bring 54 per cent reservation for the OBCs." 3.16pm: SP leader Ram Gopal Yadav said his party supports the quota bill. However, he added that the government's intention behind bringing the bill is not right. "The bill is against SC's bigger bench decision, which can now uphold it. Moreover, there are no jobs so the talk of reservation would be a cheating," he added. 3.04pm: The Congress party supports the constitution amendment bill for the 10% reservation for the General Castes, says Anand Sharma. 2.52pm: Anand Sharma on the quota bill: "You (the government) would have never brought this bill. It's just that people have shown you that you have to work for the welfare of the people. The entire country knows what you promised and what you delivered. Why is that you did not bring the Women Reservation Bill? You brought triple talaq but you don't care about other women. Bring the law tonight, extend the Lok Sabha session, and we will support it (the Women Reservation Bill)." 2.49pm: "After every high tide, there is low tide. 'Sabka sath sabka vikas' is a good thinking but is it happening? The entire country is waiting for those days. The Article 15 and 16 already provides reservation for the socially backward people. Even the SC had rejected such a proposal. This has always been a challenge for the previous governments. The question is: what prompted you to bring this law? I am not opposing, the entire country is asking. Why did you bring this law in the last session of the Parliament? The reason his: you have faced beating in the recent Assembly elections in three states. However, the big message is yet to come in a few months. So, I can say that this bill has been brought by a government, which is already in departure mode." 2.35pm: "We need to examine the history of reservation. The Constitution provides reservation for all socially backward people," says Congress leader Anand Sharma. 2.30pm: The Narendra Modi government is committed for the welfare of all, says BJP General Secretary Ram Madhav. 2.31pm: The quota bill will ensure that more than 95 per cent of the population benefits from the reservation, says Jha. He added Congress President Rahul Gandhi thinks about 'Rafale' even in his dreams, but does not speak about the quota bill. 2.19pm: Prabhat Jha, BJP MP, on the Quota bill: "Prime Minister Narendra Modi, who comes from poor background, thought about the welfare of all and did something no previous governments could do, and proved the BJP's core principle of 'Sabka sath sabka vikas'." 2.15pm: "There are few apprehensions. But this bill is not state specific. It is applicable to all states and union territories. Assam has been facing illegal migration issue for decades and we have an Assam Accord. We are just implementing the Assam Accord. We have constituted a high power committee [prescribed under Clause 6 under Assam Accord] to safeguard the interest, integrity and welfare of people of Assam. The committee will submit its report within six months," says the Union Home Minister. 2.08pm: Union Home Minister Rajnath Singh is now speaking on the Citizenship Amendment Bill. 1.24pm: Of the total 163 members, as many as 89 members of NDA, 69 of UPA, and 80 others are supporting the bill, while 13 AIADMK members have not decided so far, reported News18. 1.00pm: During a rally in Solapur, Maharashtra, Prime Minister Narendra Modi said "our principle of 'Sabka sath sabka vikas' has been further strengthened" after the bill was passed in the Lok Sabha. 12.50pm: After an uproar by the Opposition, the Rajya Sabha has been adjourned till 2pm. 12.47pm: The decision to introduce the bill has been taken after a thorough consideration, says Union Minister Thawar Chand Gehlot. 12.46pm: The amendment bill on the 10 per cent reservation for General class should be forwarded to a select committee for the further scrutiny, says CPI leader D Raja. 12.45pm: Congress Rajya Sabha member Anand Sharma says the bill is being introduced considering the Lok Sabha elections, which are scheduled to be held in May. "We understand what is happening, we are not kids," says the Congress leader. 12.40pm: As many as 323 members supported the bill in the Lok Sabha, while three members voted against it. 12.35pm: The bill provides reservation in the central as well as educational government jobs, which also includes private higher educational institutions, to those belonging to the economically weaker sections from the upper castes. 12.30pm: The government introduces the Constitutional amendment bill to give 10 per cent reservation to the upper castes poor in government jobs.